-----Part 1: Load Capsule Body ----- 1.Select the body plate(elastic part),put it in flat. 2.Put the alignment plate(box shape part)on the body plate,pour into 100 or more empty capsule bodies. 3.Hold both parts(alignment plate&body plate) and gently shake from side to side,the capsules will fall into the body plate one by one. 4.Remove the alignment plate. Push down the body plate to make sure if any capsules are the wrong way around. If any, upright these capsules. --------part 2: Filling capsule------- 5.Pour your filling onto the capsules(body plate-elastic part), Spread around with the powder spreader to make sure the powder cover capsules evenly. 6,Using the Tamper, compact the filling gently. 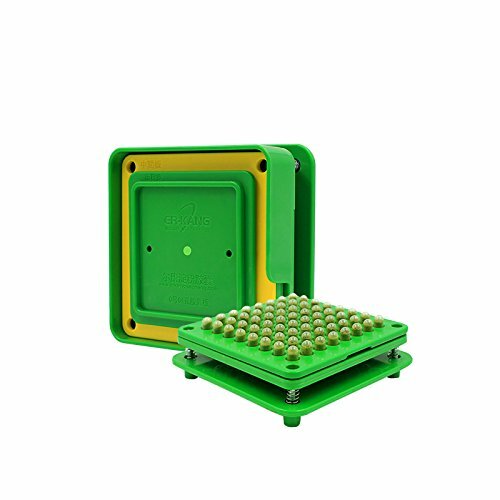 -------- part 3: Load Capsule Cap------- 7.Put the alignment plate(Box shape part)on the cap plate,pour into 100 or more empty capsule caps. 8.Hold both parts(alignment plate∩ plate)and gently shake from side to side,the caps will fall into the cap plate one by one. 9.Remove the alignment plate and adjust the incorrect capsule caps.Put the middle plate (yellow) on the cap plate. ----------part 4: locking Capsule-------- 10.Hold both parts(middle plate∩ plate).Flip it upside down( 180°） to mate with the body plate(elastic part). 11.Push hard several times to connect the capsule halves together 12.Remove the cap and middle plate and ensure the capsules are properly closed.pour out them from the middle plate. To Save Time:Faster and easier,Includes tamping tool. 64 capsules can be filled in as little as 3 minutes. If you have any questions about this product by wananfu, contact us by completing and submitting the form below. If you are looking for a specif part number, please include it with your message.